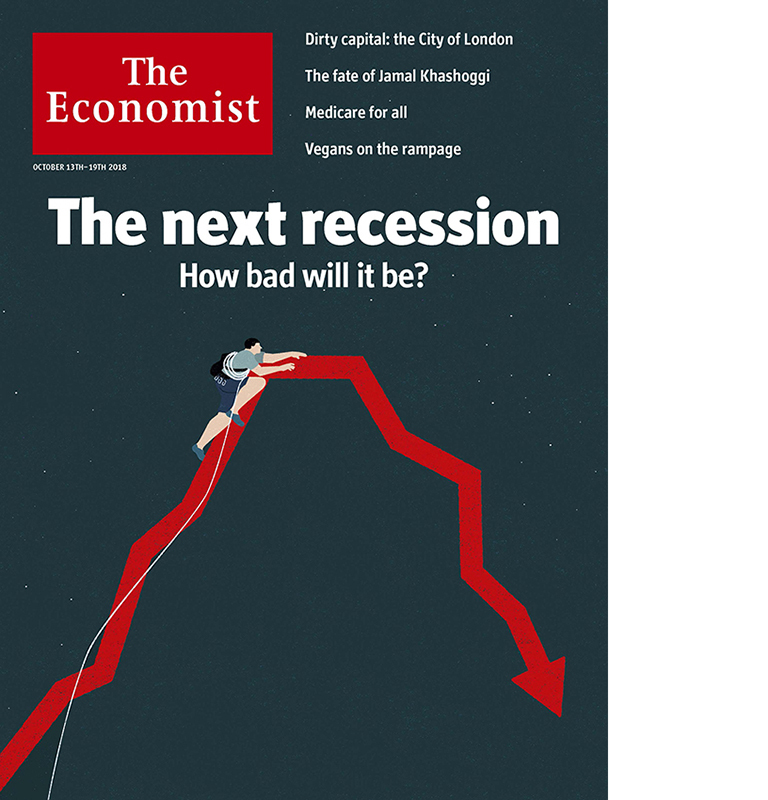 Cover and inside illustrations for The Economist special report about the next recession. 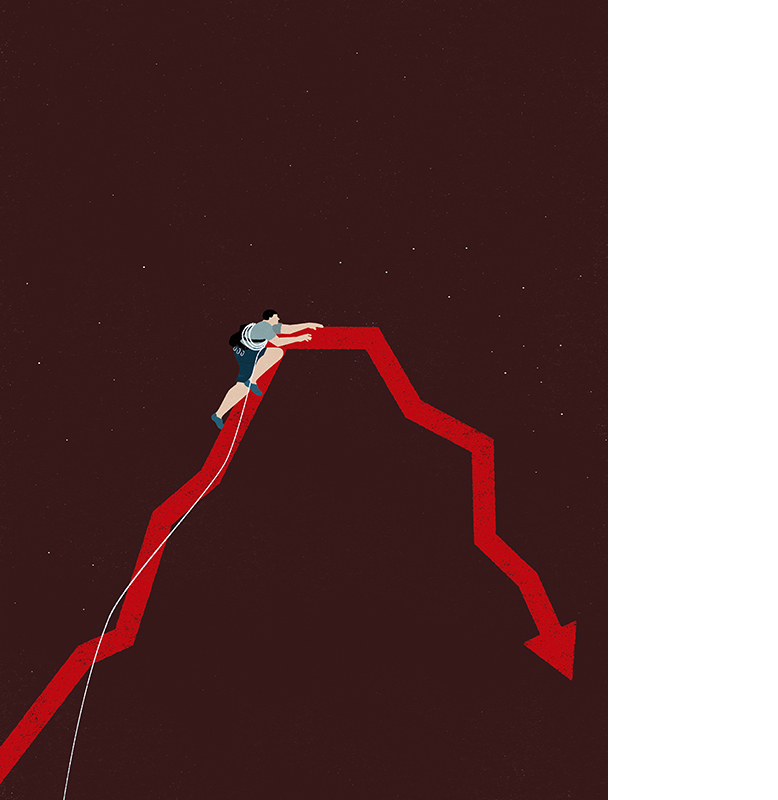 Ten years has passed since the Financial Crisis, but things may not have changed underneath. During this time, Masood, the proprietor of a coffee cart that sits outside 745 Seventh Avenue, has been a privileged witness.